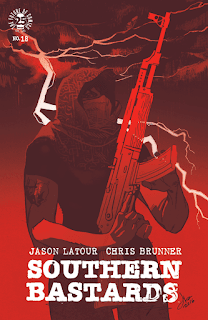 Southern Bastards #18 - I love how this series has evolved and continues to tackle some of the ugly issues of society that has reared its head as of late. While I agree with author Jason Latour that it is unfortunate that this book is more relevant given recent events, it makes it all the more important to shine a spotlight on some of the issues with race that we don't want to admit are still a major issue in our country. This issue pulls no punches and gives me a lot of joy knowing that Earl Tubbs' daughter is going to ensure that his killer's suffer a similar fate. 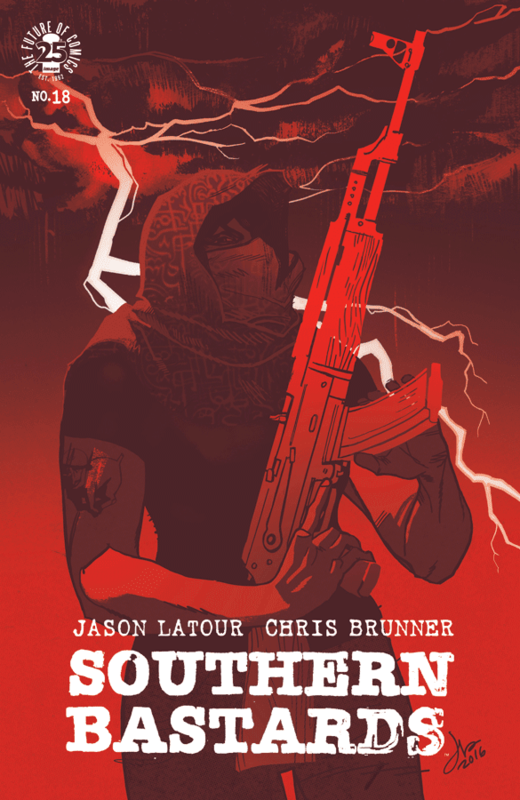 An absolutely brutal issue with stunning visuals from Chris Brunner, Southern Bastards remains one of my favorite books. 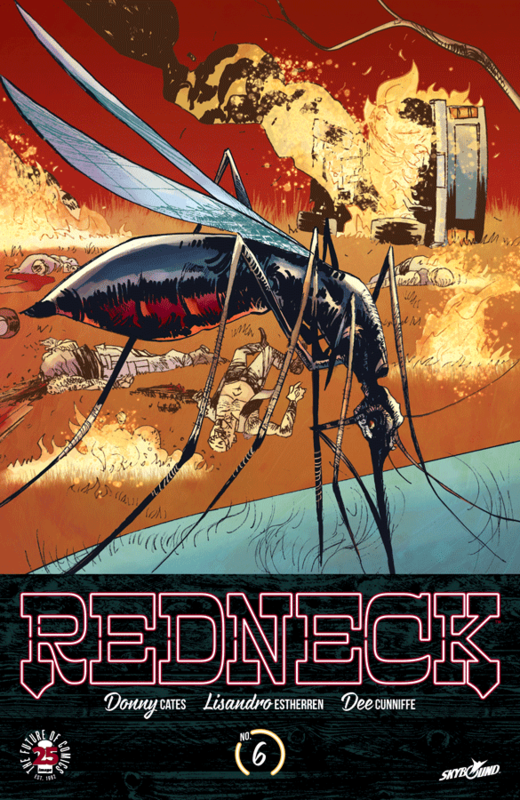 Redneck #6 - The first arc of this surprisingly good series ended with a bang. The Bowman family finally gets closure on the death of Slap, but it comes with a huge cost and one that has me completely clueless as to where this series is headed. It serves as a grim reminder about the history of this family and the skeletons in its closet that it must continue to fight in addition to the stigma of where ever they end up. Now that I have the full arc in hand, I look forward to sitting down and reading it from the beginning. If you missed this series, I cannot recommend picking up the first trade when it comes out enough. Fantastic series that I hope continues to do well. 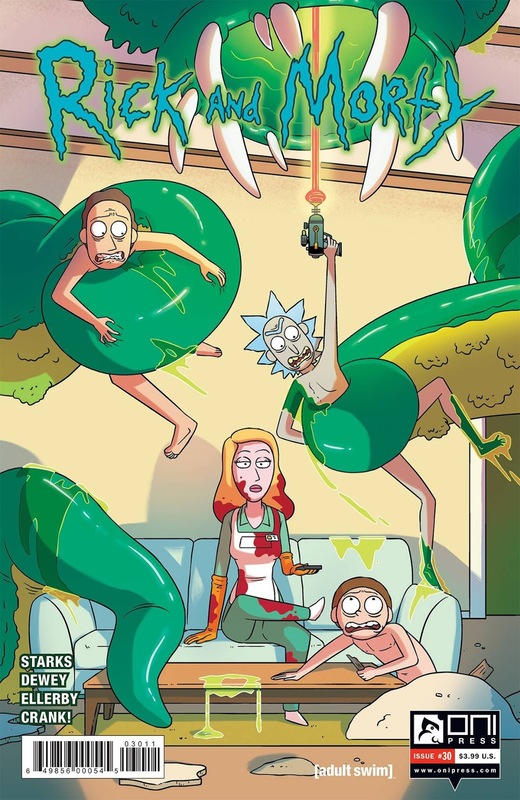 Rick and Morty #30 - As someone very late to jump on the Rick and Morty bandwagon, I am very happy that the Oni Press book is a lot of fun and will do a good job filling the void that will be left in us all after the season finale next week. This issue gave us a day in the life of Beth and the frustrations she faces on a daily basis. No respect for her career, a husband who is helpless, and a father who is constantly bringing in horrors from other dimensions and threatening the lives of her family members. At moments it was very heartwarming, but the unexpected ending brought us right back to the Rick and Morty universe and serves as a great reminder on why Beth is so stoic and able to deal with so much. Really funny issue. Duck Tales #1 - The rush of nostalgia that I felt when I heard Duck Tales was coming back made me feel like a kid again and had me craving a big bowl of sugary cereal. 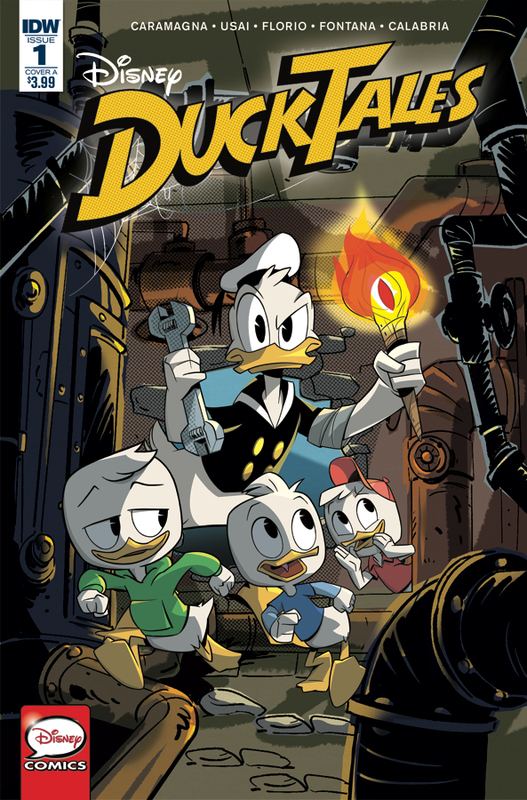 IDW comics launched a Duck Tales book this week penned by Joe Caramagna and it is an absolute delight. The first issue featured two self-contained short stories that have the same humor and feel of the television series. Definitely recommend it to the younger readers and also recommend this to anyone who enjoyed the original series and is excited to return to Duckberg.